We are the manufacturer and wholesaler of C6 Pouches / Pocket Folds - an extremely versatile & popular card for wedding invitations. Our C6 Pouches / Pocket Fold Invitations are available in more than 70 different matte and metallic finishes and are widely used by many professional wedding invitation retailers and are also sold as an easy option for DIY wedding invitations. Our C6 Pouches / Pocket Fold Invitations are made from the highest quality mill made papers from Australia and around the world and are only made from environmentally responsible papers - there is no illegally harvested tree pulp in our range. 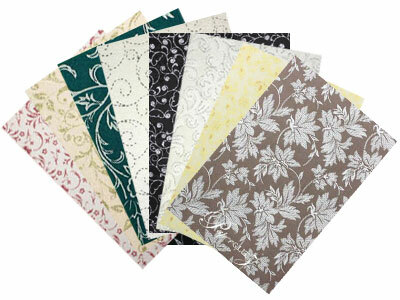 Many are made from recycled papers and some are even from certified carbon neutral papers. The C6 Pouch / Pocket Fold normally has the invitation text glued onto the middle panel and the bottom pocket normally holds several different sizes / layers of inserts such as RSVP Cards, Information Cards, Maps etc. Compare the Quality & Our Low Prices! 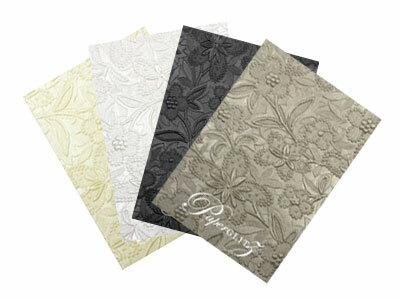 We only manufacture them with environmentally responsible specialty paper stocks from the world's leading mills. Our C6 Pouches / Pocket Folds are made to take our standard A6 Flat Card as the insert & our 11b Envelope & RSVP Card in the pouch. All C6 Pouches / Pocket Folds fit perfectly in our standard C6 Envelopes or our C6 Invitation Boxes, unless bulky decorations are used (sold separately). Be wary of overseas versions as they are a different size which create all sorts of problems as most of the time the arrive with out envelopes and their sizes don't match Australian standard envelope sizes. 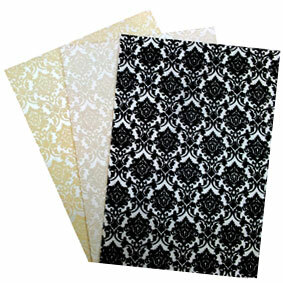 Ours are specifically designed to fit our standard C6 envelopes & boxes. All of our C6 Pouches / Pocket Folds are manufactured and packaged in our own factory in Sydney, Australia (from premium local & imported papers). Because we are the manufacturer, we can turn around any of our stocked colours/styles on the same day it's ordered. No waiting for stock to arrive from overseas. Need 10 or 10,000 - no problems. 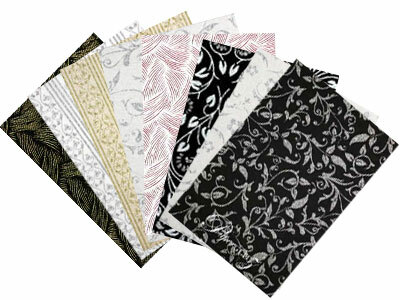 Buy with confidence and specify only "Genuine Paperglitz C6 Pouches / Pocket Folds" for your next project.